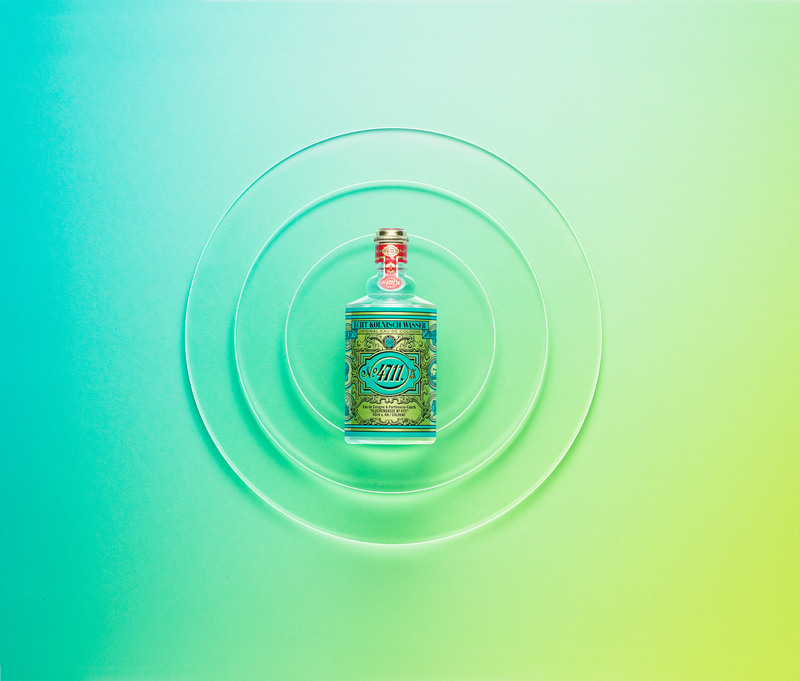 In 2017, the traditional Cologne brand 4711 needed new visuals, and their variations, for its well-known fragrance. I was asked to conceptualize and design the set for one of these motifs. The overall topic for this specific visual was summer, which had to be interpreted in a modern way. The intention was to create a clean and reduced aesthetic by working with the concept of abstraction through graphical elements. The gradient itself sets a light and warm mood, which is emphasized by transparent shapes, illustrating a visual reference to the summer sun.